Good bed with curtains; clean showers; excellent WiFi; helpful staff; nice common room. 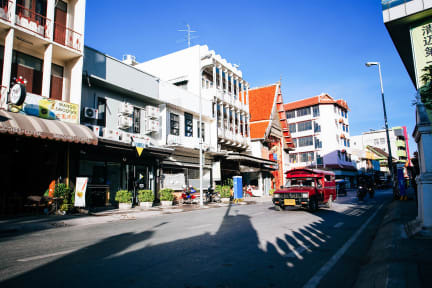 The hostel is super well located, near the night market and near the old town, large beds with two electric outlets, with universal adapter and great privacy. Main point was all the staff who were 100% willing to help. O albergue é bem bom, perto do night market e da cidade antiga. Dá para explorar bastante coisa andando. Os quartos são bons, camas confortáveis e os banheiros estavam sempre limpos, Ótimo para viajantes sozinhos, encontrei. Arias pessoas na mesma situação. The cleanest hostel I ever been! The staff is super friendly. Worth the money, definitely! Ótimo hostel, bem localizado e uma equipe com ótimo atendimento, além de reunir a galera e formar amizades, 10!! Our time at D-Well hostel was awesome, so far the best hostel we’ve been. The staff is great, specially Beam. Breakfast is pretty good. Very cosy and cool vibe. 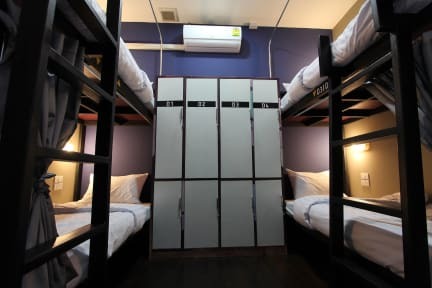 PROS- bunk w/ individual curtain , p/outlet n reading light; good quality bed sheets ; good WiFi; bar anex n sell beer n hang out ; Staff very friendly specially Mss Boeing CONS- no shelf on bunk ; dorm quite small and no windows; small lockers ; far 1.1km to old town gate; basic breakfast w/ no fruits-but include on rate; mattress quite hard n pillow too soft; I asked front desk to fix my dorm key, it doesn’t lock , but they didn’t it.... Reccomend it! !